Kiara Sky Nail Lacquer Swatches - Polish Etc. Are you all ready for Christmas this weekend? I am almost done with all of the shopping. I am a professional procrastinator...so I wait until the last minute to do everything. Just like getting these swatches out to you! I have waited too long to share with you pretty polishes from the brand Kiara Sky. I have seen this brand floating around Instagram for a while now but had never tried them myself. They are known for their professional nail polishes, gel polishes and dip powder. They have a nice core collection of colors. I was sent a random selection of nail lacquers to try out and I was quite pleased with the formulas. Let's take a look at some of their shades! Chit Chat - A pastel pink leaning lilac creme. This color is very pretty and girly but the formula was a little bit off for me. It was a streaky on the first coat but did even out okay on the second. I used the Kiara Sky Long Lasting Top Coat here. It wasn't until I had dented up my mani a little bit before I realized it wasn't a quick dry top coat. Oopsies. So, my nails don't look as nice a smooth as I would typically have them. I switched to a glossy quick dry top coat after this swatch. Your Majesty - A clear base glitter topper filled with matte white and mint hexes of small and micro glitters. I used one coat of this over Chit Chat. It is very soft and a perfect glitter for spring. It would look great over a darker color as well. Romantic Coral - An orange toned coral creme. I love this shade! This is the tone of coral that I gravitate towards the most. The formula was very nice with almost a squishy crelly quality to it. I am showing you two coats with a glossy top coat. Strike Gold - A clear based gold holographic microglitter. This is super sparkly! The gold is more bronze than yellow and there are two sizes of micorglitter in here. Nice glitter payoff with one coat, too. I am showing you one coat over Romantic Coral here. Stylelette - A blue toned medium grey creme. Yum! Grey polish is so chic. It will always look cool. This one had a nice formula as well. Two smooth coats for full opacity. I do have this topped off with a glossy top coat. Vegas Strip - A clear based turquoise microglitter. These tiny glitters weren't holographic, just very sparkly and glowy. The glitter didn't come out as dense as Strike Gold. 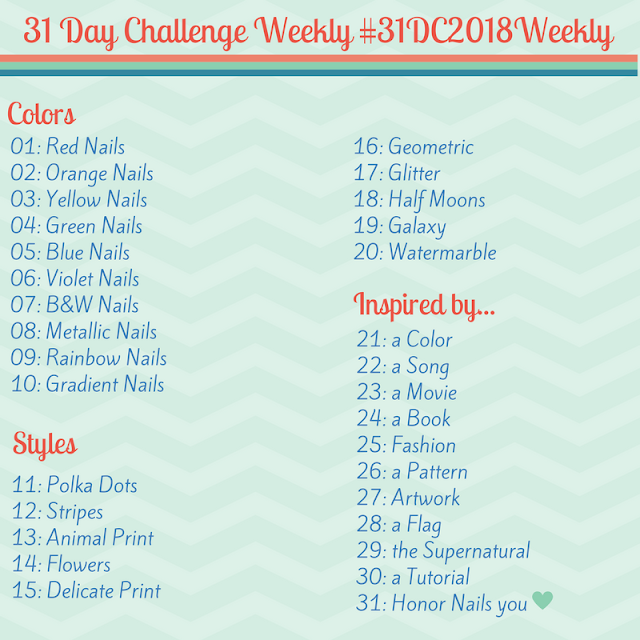 I am showing you two coats over Stylelette here. Socialite - A candy apple red creme. This red polish has a very slight pink tone to it. I got lots of compliments when I wore this for the day. The formula was nice and opaque. I am showing you two coats with a glossy top coat here. Very pretty! After the Reign - A robin's egg blue creme. This blue is brighter than a sky blue but still in that same color family. I was surprised how opaque this was. I almost got away with one coat but I am showing you two coats with top coat here. CEO - A warm, ginger toned neutral creme. This isn't exactly brown but not exactly orange. It's a great color though! I love wearing these types of neutrals in the fall. Again, the formula was surprisingly opaque. I am showing you two coats with a glossy top coat here. Pure White - A pure white creme. Everyone needs a good white polish. This is a nice one. It is not a one coater but a solid two coater is good enough. It is a stark white, no grey or beige undertones to it. White polishes always make my fingers look so tan! Black to Black - A black creme. Just like everyone needs a good white polish, they also need a good black one. This one, however, was not as nice as it's white counterpart. The formula was a little sheer and even at two coats I was seeing a little bit of nail bed peeking through. Not bad...but not fantastic. All of these Kiara Sky polishes are available on their online store for purchase. You can get them in the traditional nail polish formula or in their gel formula. The regular nail polishes retail for $8.50 and the gel polishes are $12.99. I cannot speak on the formula of the gel polishes as I did not try them. There is also a store locator on the site to help you find these polishes in a beauty store or salon near you. Have you tried Kiara Sky polishes before?